S3 Browser - How to Work With External Buckets. 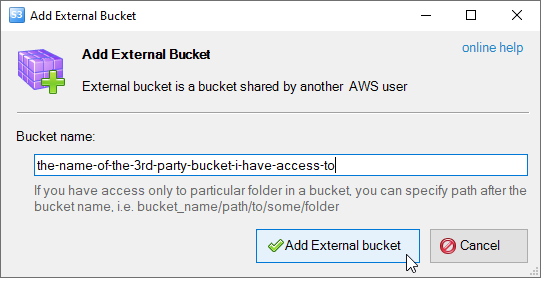 Use Amazon S3 Bucket shared by another Amazon S3 User. 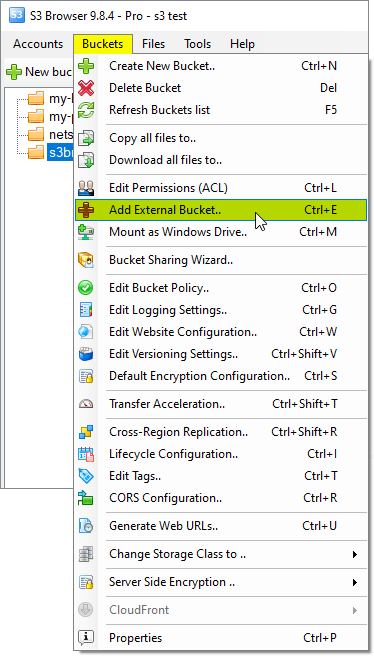 How to use Amazon S3 Bucket shared by another Amazon S3 User. How to connect to External Bucket. S3 Browser Freeware allows you to work with Amazon S3 Buckets shared by other users (these are External Buckets) even if you are not signed up for Amazon S3. All you need is an AWS or IAM Account. Of course, you can work with External Buckets if you have an Amazon S3 Account as well. 2. Enter your Access Key ID and Secret Access Key. 3. 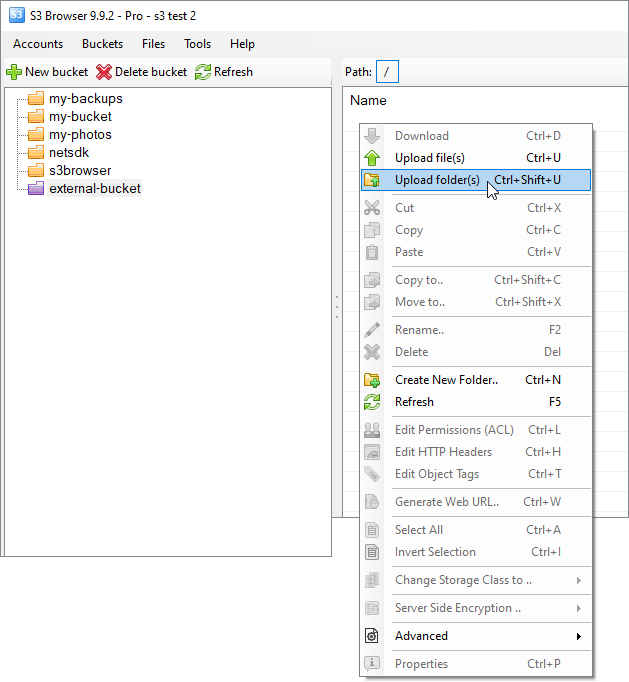 Click Buckets->Add External Bucket. 4. Enter the name of the bucket you want to connect and press Enter. The bucket should exist and you should have permissions to work with it. You can also specify folder name if you have access only to particular folder in a bucket. Enter the name of the bucket you want to connect. 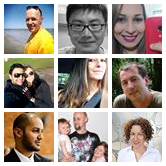 You can also specify a directory. The external bucket is added. Now you can upload, download, copy, move files to and from this bucket. The external bucket is added. Now you can work with it according to the permissions you have.